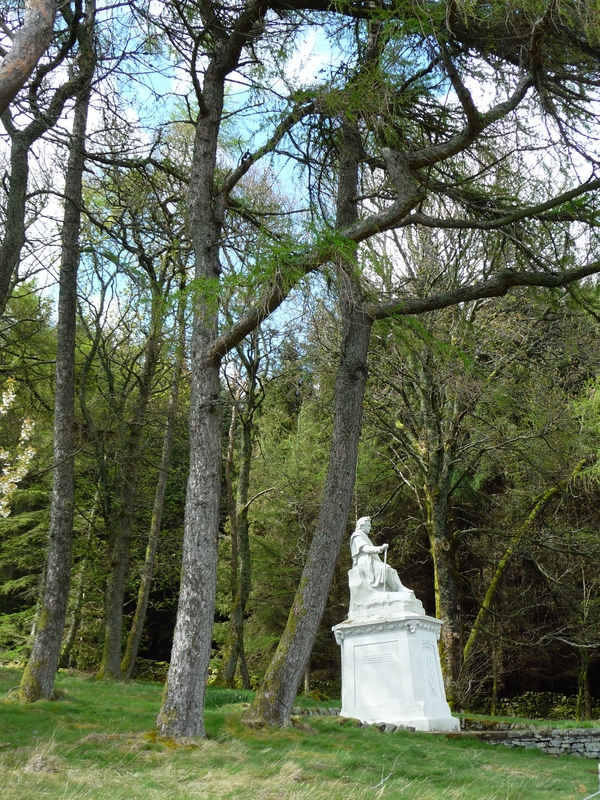 Overlooking the loch is a statue of James Hogg; 18th -19th century shepherd, novelist, poet and song writer born in Ettrick near St Mary’s Loch. He’d be very familiar with this view, so perhaps I’ll dedicate today’s spring painting to him, as I sense his life was beset by gloom. Hogg was variously celebrated and ridiculed by Edinburgh’s gliteratti of the time who nicknamed him ‘The Ettrick Shepherd’ due to his rural, modest beginnings, and caricatured him quite cruelly in literary publications. He was described by Wordsworth (who wrote a poem in appreciation of Hogg after his death) as both ‘uncouth’ and ‘a genius’! This was the dawn of the Victorian era, which perhaps partly explains these attitudes. 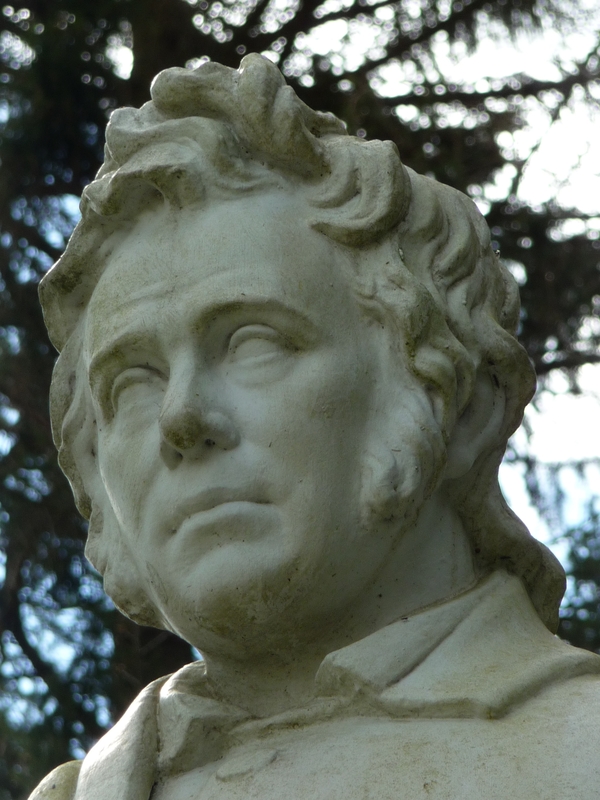 The previous, more creative and intellectually pioneering atmosphere of Edinburgh’s Enlightenment had been welcoming to Robert Burns (a hero and inspiration to Hogg) despite his similar rural beginnings, earthiness and pithy observations of society. Maybe Hogg was born in the wrong generation, or just didn’t fit in with city people, he seems to have always been somewhat on the periphery of the literary in-crowds, never at the centre. Though he was on occassions part of the most famous literary circles at the time. The work he’s best known for, ‘The Private Memoirs and Confessions of a Justified Sinner’ describes the fictional memoirs of a man who kills those he considers to be sinners, though that’s a very simplistic description of a complicated novel which, though its quite obscure, can be interpreted as a dark critique of Scottish Calvinism and religious hypocrisy. It was not until the early 20th century, long after Hogg’s death, that his work was rediscovered and more seriously appreciated. Author Irvine Welsh cites the book as an inspiration and I can see why; this was a brutal work in subject matter, but also an incisive attack on hypocrisy. Hogg was born to a fairly poor but cultured family and worked for the early part of his life in the most low paid of jobs, in later life he was often destitute, so this critique of society was perhaps in some ways a reflection of his personal experience of the prejudice and sanctimonious attitudes of society at his time – though as relevant today as then, albeit cloaked in different guise! Hogg’s favourite haunt was Tibbie Shiels Inn, which still exists as a very nice Inn and pub, situated towards the end of St Mary’s Loch. 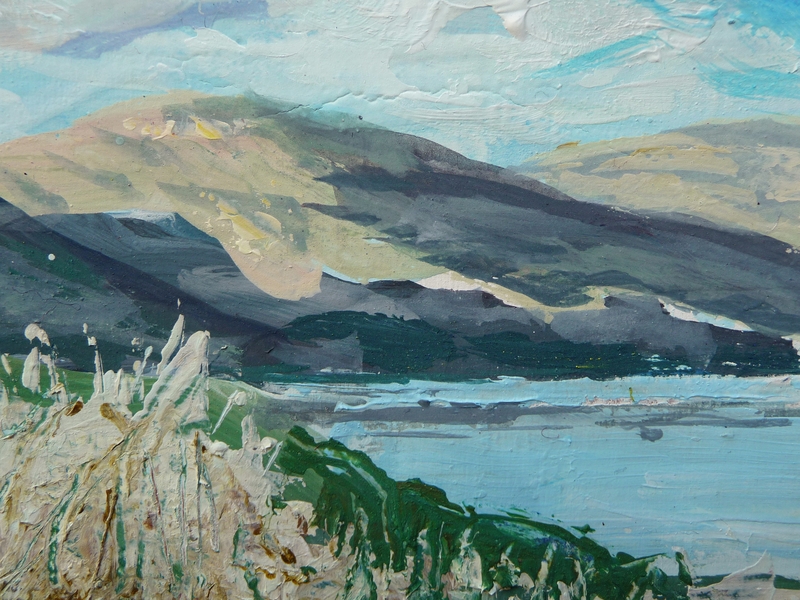 My painting looks south from the north end of the loch. Tibbie Shiels Inn is a mile or so along the road. If I was to meet Hogg on the way to the pub he’d be walking down the hills from the east, ahead of me. He and Tibbie (the pub’s landlady) got on very well apparently, in fact it seems he got on well with quite a few women ( a feature he shared in common with Burns!). As others have mentioned, it’s fitting that his statue looks out directly to the hills of his youth with Tibbie Shiel’s Inn in the foreground. More descriptions of his life and work on these links from Wikipedia and the The Ettrick and Yarrow Borders website.. 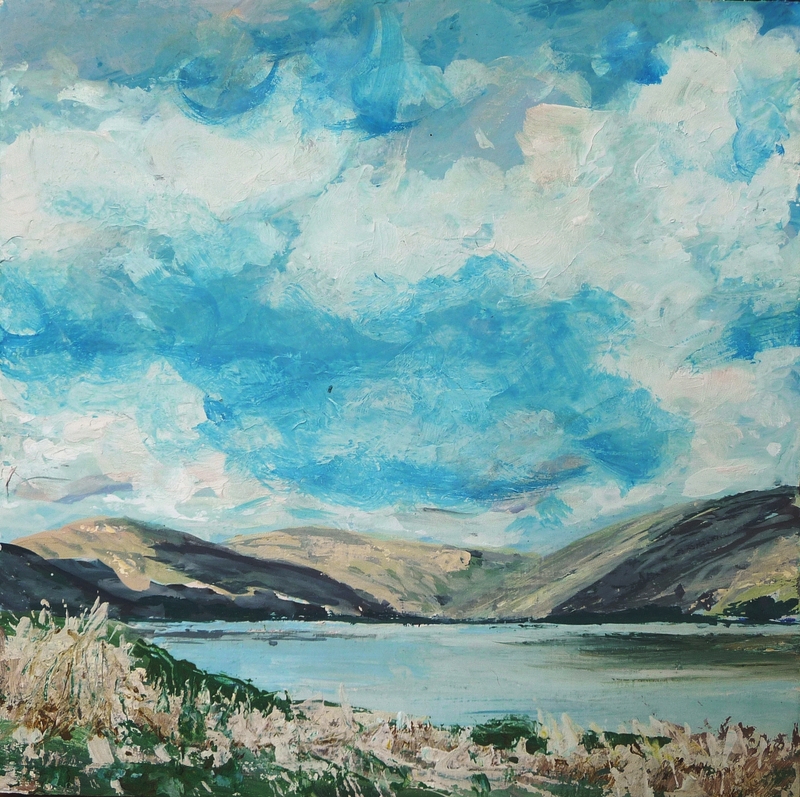 This entry was posted in Uncategorized and tagged Borders paintings, James Hogg, Scottish landscape painting, St Mary's Loch, Tibbie Shiels Inn on May 29, 2015 by rosestrang.